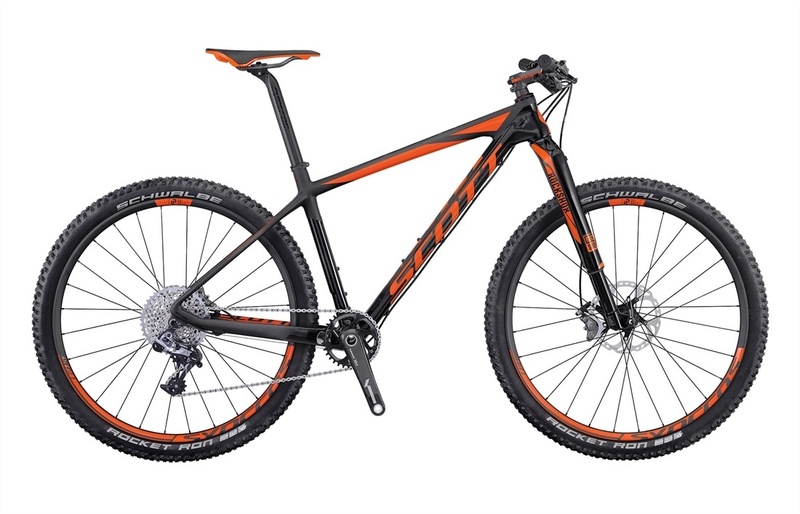 Click the button below to add the 2016 Scott Scale 700 SL Bike to your wish list. Scott has a well-deserved reputation for making super-light frames. This is as true off-road as it is on. The Scott Scale 900/700 frames and bikes demonstrate this, as well as their mastery of manipulating carbon-fiber and geometry to create a great-riding hardtail that is not only efficient but softens the ride. They begin with their super-light super-stiff carbon-fiber blend. It’s known as HMX, High Modulus eXtreme, and it delivers on all fronts. 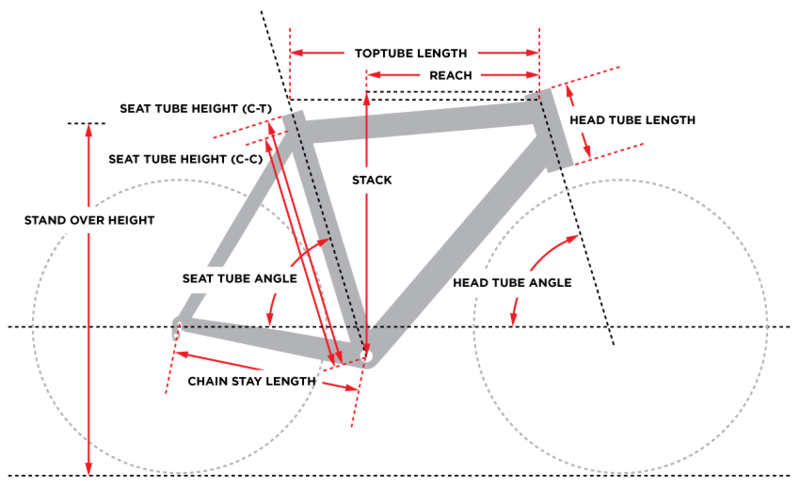 It’s 20% stiffer than their HMF carbon-fiber for the same weight, so they can use less of it to deliver a lighter, stiffer bike. They also were early-adopters of larger MTB wheels, and the experience shows with the geometries they’ve designed for both the 27.5 (aka 650b) and 29er wheels. The position for climbing is powerful, with short chainstays emanating from a wide, oversized BB92 bottom bracket to tuck the rear wheel under you for excellent power transfer. At the same time, the skinny seatstays provide up to 4.6 mm of vertical flex, and they pair the complete bikes with carbon posts possessing a comfort layup for further damping. They call it their SDS, Shock Damping System. Up front, the slack head angle, combined with the larger wheels not only rolls easily, but allows you to focus on the riding by allowing you to feel stable at high speed, and agile while carving turns. The dropouts deserve a shout-out for all the tech and flexibility they possess. Scott calls it the IDS-SL (Interchangeable Dropout System- Super Light) dropout system. It means you can easily convert the frame from 142x12mm, 135x12mm, and 135x5mm rear axles. The geometries have been optimized to work with 100mm fork and 160mm brake rotors for speed and control. 700 models use 31.6mm seatpost, while 900 models use larger 34.9mm posts. The Scott 900/700 HMX bike is your perfect companion for all day speed and agility- now all you need to do is decide how you want to build yours up, starting from a frameset or going with a build option.